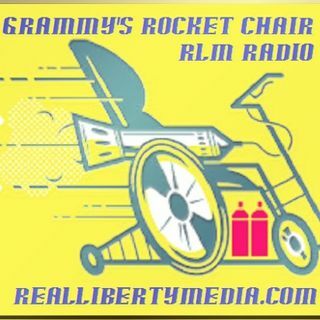 2018-12-19 Grammy's Rocket Chair and Another WHACK-A-DOODLE Wednesday is Here! Well....... I did some YouTube viewing & Twitter surfing earlier today and BOTH put me in a Rather Foul Mood....... that is, until I went into town & cleaned my Uncle's House for him...... That's Just what the Doctor Ordered for My Mindset! Some Good, Clean Menial Labor to put things into Perspective and allow me to Clear the Cranky Cobwebs from My Attitude...... for the Most Part. Thanks for "Giving" a Listen and be sure to check out ALL the Other Awesome Shows here on the RLM.